The medium SOHO Demeter Bowl is distinguished by its sculptural form and richly modeled surface. 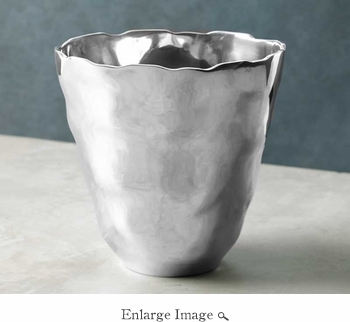 Its tall and tapered shape makes it an ideal vessel for serving breadsticks, or celery. We like it as a reflective vase for colorful tulips. One of a trio of Demeter bowls, the medium makes a stunning statement alone, or with the other bowls. A unique gift for anyone on your list.